BuzzFeed is about to have its first presidential interview. On Sunday morning the website announced that its editor in chief, Ben Smith, will sit down with President Obama at the White House on Tuesday. Obama will also take part in a video shoot. BuzzFeed is using Facebook to amplify the interview, first by having Smith invite users' questions for the president ahead of time and then by posting the Obama video on Facebook afterward. The video is being produced by the site's relatively new video production division, called BuzzFeed Motion Pictures. It's intended to be funny and appealing to young people. The combination -- a news interview and an entertaining video -- is akin to Obama showing up on ABC's evening newscast with David Muir and ABC's late-night talk show with Jimmy Kimmel on the same day. It's a coup whenever any news outlet winds up with an interview with the president because it elevates the outlet and the individual interviewer. 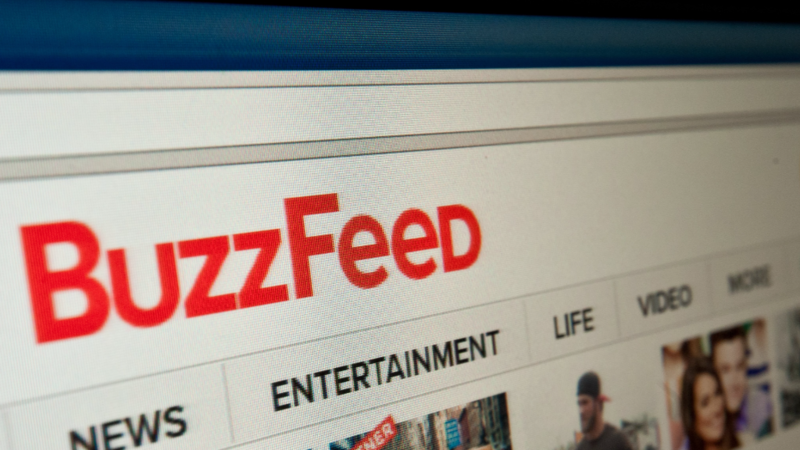 For BuzzFeed, it's especially significant, given the site's beginnings as an entertaining source of viral videos, photos and listicles. The site still has plenty of that, but it also employs more than 200 journalists in its news division, called BuzzFeed News. "It's a real moment for us," said a BuzzFeed spokesperson. "Not only will the President talk to Ben, he will also be part of a video shoot which you can expect to be the kind of fun, playful video you're accustomed to seeing from BuzzFeed Motion Pictures." It is also another example of the Obama administration's effort to seek nontraditional forums for the president to get out his messages. Obama, of course, has granted many television Q&As over the years -- CNN's Fareed Zakaria televised an interview with him last Sunday. But he has also taken questions from Facebook users, YouTube stars and comedians. Dan Pfeiffer, an outgoing senior adviser to the president who has spearheaded this press strategy, said the White House has tried to reflect a swiftly changing media environment. "We don't have an either/or strategy, we have an and-both strategy," he said in an interview for CNN's "Reliable Sources" in December. "So we're going to do 'Meet The Press with Chuck Todd,' 'The Lead with Jake Tapper,' but we're also going to do 'Between Two Ferns.'"